Tap into your inner-craftsmen this Labor Day weekend, September 4-6, at the 6th annual BrewMaster’s Craft Beer Festival. 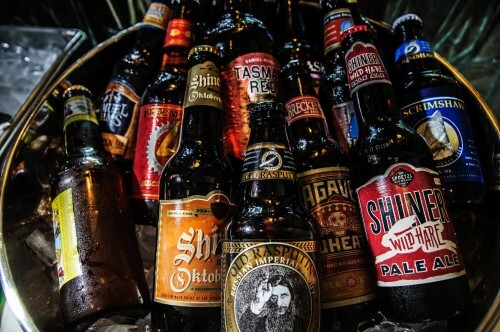 The event brings over 400 specialty beers to the Moody Gardens Convention Center, making it the largest craft beer festival in Texas. Join hundreds of beer enthusiasts from expert to novice for a foam-filled weekend. The event kicks off Friday, September 4 with the BrewMaster’s Pub Crawl. The festive party bus departs at 8 p.m. for an exclusive tour of the trendiest bars on the island. Each stop will feature meet and greet opportunities with a “Brew Brain” that will give guests an inside look at the art of brewing. Tickets are $25 in advance. Sample some of the best brews made available to beer lovers at the BrewHaHa Grand Tasting held at the Moody Gardens Convention Center on Saturday, September 5. The Grand Tasting will feature 400 craft and specialty brews as well as a Wine Escape with wine samplings. Tickets are $35 in advance and $40 at the door. VIP tickets are available for $85 as well as multi-event Hopper Passes. The BrewHaHa Grand Tasting will run from 3 p.m. to 6:30 p.m. and includes access to multiple beer seminars for those interested in expanding their knowledge of craft beer. Thirsty for more? The Brewlicious Brews & Foods Pairing, happening on Sunday, September 6, gives foodies time to get to the island. This event is for the serious beer and culinary enthusiast. Every featured beer will be paired with a divine food dish, creating the perfect culinary combination. BrewLicious Brews and Foods will run from 5 p.m. to 8 p.m. Tickets are $75. Palm Beach is the place to be for live entertainment during the festival. After tasting some of the top craft beers in the world, head down for the Beach, Brews and Bands. Get ready for some fun in the sun as Moody Gardens rolls out a beach blast with live music in the sand followed by a special fireworks show. Saturday night, Line Up will entertain the crowd, while Rock band, Rat Ranch, will rock the stage Sunday night. Beach, Brews and Bands will run from 6 p.m. – 10 p.m. Tickets are $12 at the gate and $6 online as an add-on to any BrewMasters ticket purchase. The Moody Gardens Hotel is offering a 20% savings on room rates over Labor Day weekend with a $50 resort credit for a weekend stay. To book a stay, visit www.moodygardenshotel.com or call 888-388-8484.